India’s competitors in the BWF World Badminton Championships 2018 in Nanjing, China, have been handed a difficult path in the draw. 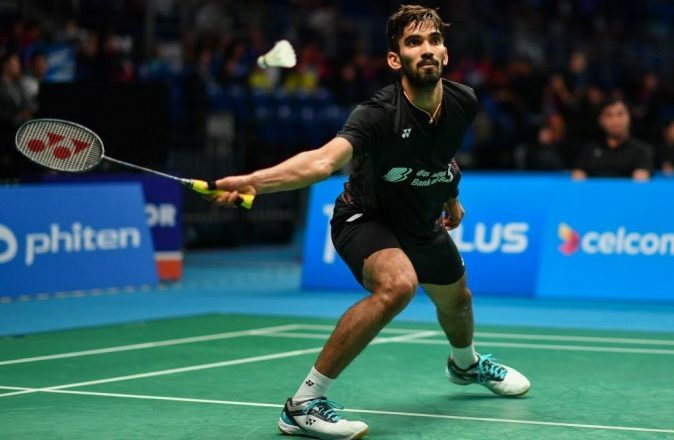 Men’s singles fifth seed Kidambi Srikanth has been clubbed in the fourth section which also has Malaysian veteran Lee Chong Wei means they could clash in the quarter-finals. Srikanth will open against Ireland’s Nhat Nguyen and is likely to meet Indonesia’s Jonatan Christie, the 13th seed, in the third round. H.S. Prannoy, on the other hand, may face Hong Kong’s Wong Wing Ki Vincent and Chinese Taipei’s Chou Tien Chen after being handed an easy opening round clash against Australia’s Abhinav Manota. In the last eight stage, rising Chinese star Shi Yuqi may be Prannoy’s opponent. B Sai Praneeth will have to upset South Korean Son Wan Ho, while Sameer Verma meets Frenchman Lucas Corvee in the opening round. In the women’s singles category, third seed and three-time medallist P.V. Sindhu will open her campaign against the winner between Fitriani Fitriani or Linda Zetchiri. If the Indian wins the match, South Korean ninth Sung Ji Hyun will be a stiff challenge for Sindhu while reigning world champion Nozomi Okuhara is a possible opponent in the quarter-finals for the Hyderabadi. Sindhu’s senior, Saina Nehwal will play either Swiss Sabrina Jaquet or Turkish Aliye Demirbag in the second round. After this round, she is expected to fight Ratchanok Inthanon of Thailand and Olympic champion Carolina Marin in the next two rounds. In the men’s doubles, the senior pair of Manu Attri and B Sumeeth Reddy will open against Bulgarian combo of Daniel Nikolov and Ivan Rusev, while fast-rising Satwiksairaj Rankireddy and Chirag Shetty face Olympic bronze medallists Marcus Ellis and Chris Langridge of England. The women’s doubles pair of Ashwini Ponnappa and N. Sikki Reddy will meet Chinese Taipei’s Chiang Kai Hsin and Hung Shih Han in their first round. The mixed doubles pair of Ashwini and Satwik will clash with Danish pair of N. Nøhr and S. Thygesen, while Pranaav Jerry Chopra and Sikki will meet Czech combine of Jakub Bitman and Alzbeta Basova.